The recent surprise election of Donald Trump as president of the United States has occasioned a lot of writing that I can sum up like this: Suddenly the world is very different than I thought it was. How do I (or we) deal with that? One particularly poignant article came from technical communication blogger Danielle Villegas — TechCommGeekMom. Danielle pondered what the election results, and the conditions leading up to them, mean for technical communicators. Are we seeing the end of the trend toward globalization? How easy will it be to find work if you live in a rural area, away from a city? The proclivity of technical communicators, from my observations, is that they have big hearts. They have strong ideas, they are organized, and they know how to take action. They are generally open-minded, they think “outside the box” for solutions, and they understand the importance of reaching out and embracing the world because the proliferation of the internet has warranted it. We can make a difference in how we approach our work, both domestically and internationally, to set an example of best practices of being decent human beings trying to help each other progress and survive in this world. How can technical communicators show the way, or “set an example,” in the way Danielle describes? How can we use our “big hearts” to bring progress, and perhaps bring reconciliation, to the fractured world in which we live? This entry was posted in Professionalism, Society, Technical communication and tagged election, TechCommGeekMom, Technical communication, truth, worldview on November 28, 2016 by Larry Kunz. In this week’s historic election upset, I was on the losing side. Where do I go from here? Where do we go from here? This is the course I’ve mapped out. If your views are similar to mine, I encourage you to join me. If they’re different, I hope — in the interest of constructive dialog — that you’ll discover what’s important to me and what’s not important, like finding fault or throwing bricks. I want to understand the vast majority of Trump voters who aren’t racists, neo-Nazis, or anything like that. They’re people with legitimate grievances: they believe that our government is broken and that no one is protecting their interests. I might disagree with them, but I’ll never have a dialog with them — let alone change their minds — if I don’t first listen to them. When Barack Obama became president in 2009, some of his opponents made his failure their mission. Mitch McConnell said it in so many words. They were wrong, and now that the shoe is on the other foot, we can’t repeat their error. Donald Trump will be our president: we ought to want our president to bring about good. Let’s all pledge to stand in solidarity with women, immigrants, Muslims, and people of color whenever they’re threatened, whenever their worth and their basic dignity are attacked. Hateful, frightening things were said during the campaign: we can’t dismiss them as merely political rhetoric. Traditional journalism has been in retreat for a generation, because the marketplace for news is changing. Now it’s also coming under attack from from people who have no compunction about publishing lies and from government officials who feel free to threaten and disparage reporters. Just because my candidate lost, the things I believe in — progress, equality, inclusiveness — are no less valuable and no less worth fighting for. I won’t forget the words of Martin Luther King: “The arc of the moral universe is long, but it bends towards justice.” Maybe the arc is longer than I thought, but the words are as true today as they’ve ever been. What do you think? Whether you’re on the winning side or the losing side, where do you plan to go from here? This entry was posted in Society and tagged Donald Trump, election, journalism, politics, press, values on November 13, 2016 by Larry Kunz. Vichy Republicans. During his commencement speech at Stanford University, historian Ken Burns coined the term to describe Republicans who’ve endorsed their party’s presumptive presidential nominee even though they don’t think he’s qualified to hold the office. Those who are happy with their party’s nominee and are happy to endorse him. Those who are unhappy with their nominee and have publicly declined to support him. Those who have nothing to say. If you fall into one of these three groups, I can respect that. Although I might not agree with you, I can see that your actions align with what you say you believe. But to the Vichy Republicans, I echo Burns’ words: please reconsider. This entry was posted in Leadership, Society and tagged election, Ken Burns, Republicans, truth, Vichy on June 20, 2016 by Larry Kunz. H.L. Mencken wrote this in the Baltimore Sun in 1920. It’s as if he’d been reading today’s political headlines. All the odds are on the man who is, intrinsically, the most devious and mediocre — the man who can most adeptly disperse the notion that his mind is a virtual vacuum. The Presidency tends, year by year, to go to such men. As democracy is perfected, the office represents, more and more closely, the inner soul of the people. We move toward a lofty ideal. On some great and glorious day the plain folks of the land will reach their heart’s desire at last, and the White House will be adorned by a downright moron. 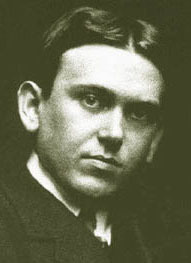 Yes, Mencken was a cynic. But in this case he was frighteningly close to the truth. As a counterpoint, of course, we have Churchill’s democracy is the worst form of government except all those other forms that have been tried. Something to ponder on your Friday. This entry was posted in Society and tagged Churchill, democracy, election, Mencken, politics, public office on November 13, 2015 by Larry Kunz. Forgive the clickbait headline. But, dear STC member, you have to admit it worked. Here you are reading this page. In 2012 Ray Gallon was elected to the STC Board of Directors by one vote. That’s right: every single person who voted for Ray had a direct effect on the composition of the Board throughout Ray’s two-year term. Everyone who supported the losing candidate, but who didn’t bother to vote, had a direct effect too. Your vote does count. But if you don’t use it, your vote might count in a way you don’t want. In 2016 Kirsty Taylor was elected to the Board by two votes, and there was a tie for the second Nominating Committee spot¹. That’s just in case you thought the 2012 result was a fluke. A golfer getting struck by lightning while sinking a hole-in-one. No, it’s not like that. Here are the percentages of STC members who did not vote in the last five Society elections: 83%, 85%, 89%, 85%, 86%. In an organization that depends on its members’ participation, that’s shameful. Appalling. Pick your adjective. The only way to change it is for each of you to vote, one by one. I myself have recited the mantra that every candidate is well qualified, and therefore STC stands to gain regardless of who’s elected. By expressing that view, perhaps I’ve unwittingly helped tamp down the voting percentages. Why vote, if all of the candidates are equally good? Because every candidate is different. Every candidate comes to the election with their own set of priorities for STC, and their own set of experiences. Take time to learn which candidates’ views and experiences align most closely with your views about what’s best for STC. Then vote for those candidates. STC shouldn’t be one of those organizations you join just to get the membership card, just to add a line to your resume. It’s an organization where, the more you participate, the more you get back. If you’ve never participated in STC, why not start by casting your vote? Tell me what you think in the comments. If you’ve already voted, tell me why you did. Note 1: All election results are published on the STC website. Just search for STC election results along with the year. This entry was posted in Professionalism, Technical communication and tagged election, STC on March 18, 2015 by Larry Kunz.